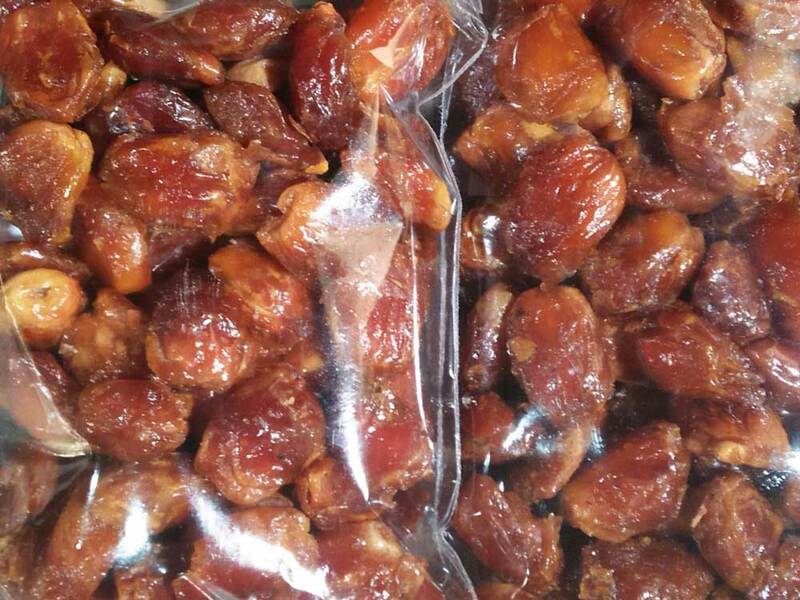 Supplier &Wholesale & Exporter of Wet Zahedi Dates & Dry Zahidi Dates & Mazafati Dates in Iran. The most exquisite species of dates are produced in Iran. The fruit has a large variety and more than 400 varieties of the fruit, some of which acclaimed worldwide, are produced in the southern, southwestern, and southeastern palm groves of Iran. Zahedi (Wet Zahidi & Dry Zahidi) Date can be considered as the most frequently used kind of Date fruit in Iran. This Date can be grown in most tropical cities of Iran but the most kind of Iranian Zahedi Date fruit is cultivated in Fars and Kerman provinces. 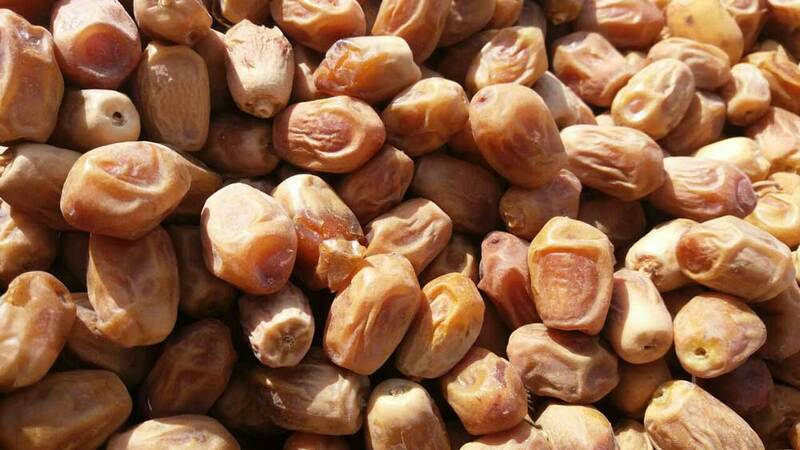 Iranian Zahedi Date is dry fruit with yellow color to light brown, round in size, meaty and so delicious with high durability which its moisture is less than other kinds of Date fruits. The most extensive production is in a region called Dashtestan city in Bushehr Province: Bushehr Province's Dashtestan city: Bushehr Province is one of the 31 provinces of Iran that settled in the south of the country.so, its dry and hot weather has caused the province is rich in date palm (date palm only agricultural product of this province that are exported). And Dashtestan city has the first place in production of date palm and citrus.Around 16,250 hectares of land in the city of palm cultivation. Dashtestan city's economy dependent on agriculture products, especially date palm. The most and best kind of Iranian Zahedi Date fruit is cultivated in Fars and Kerman provinces. 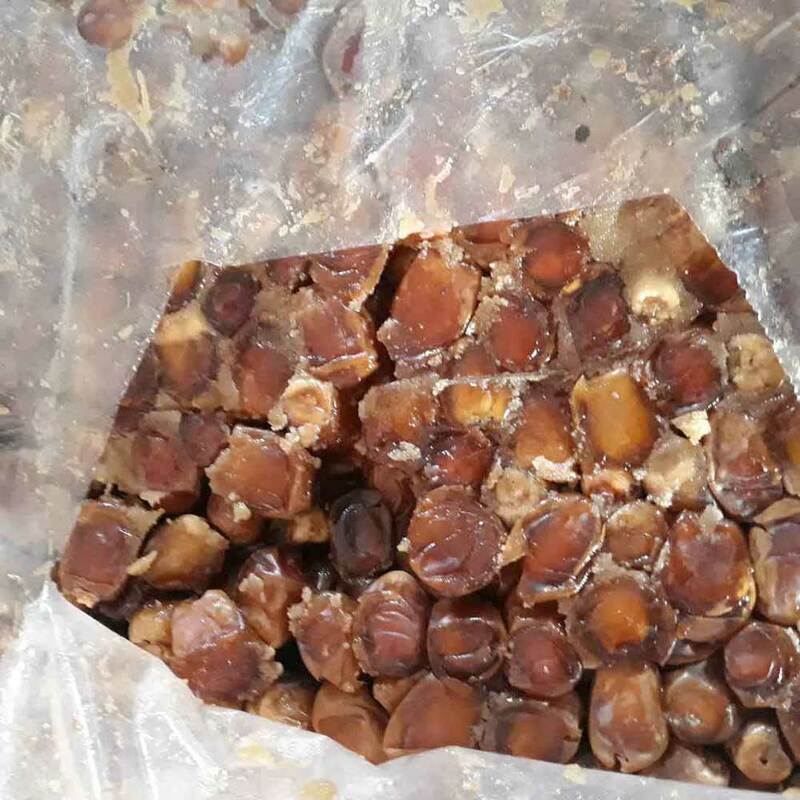 Zahedi Date is one of the most widely used and delicious dry dates in the world that can be grown in most tropical cities of Iran but the most kind of Iranian Zahedi Date fruit is cultivated in Fars and Kerman provinces. 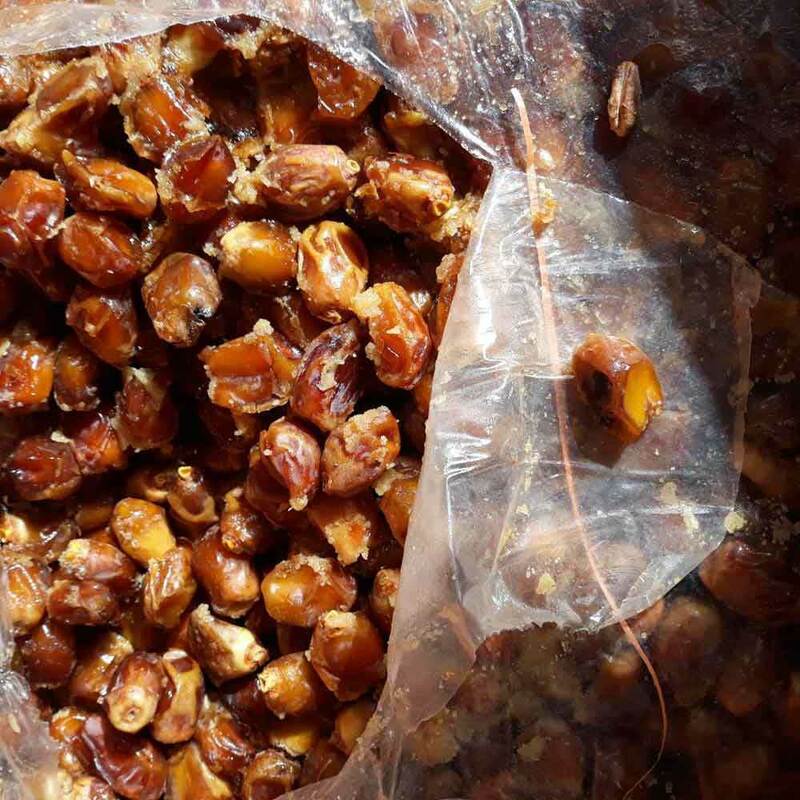 Zahedi Date is classified as a dried fruit and late fruiting Date.The Date in addition to Fars and Kerman provinces can be grown in cities such as Firuz Abad, Bushehr, Lar, Ahvaz, Khorram Shahr and also countries like Iraq and America. 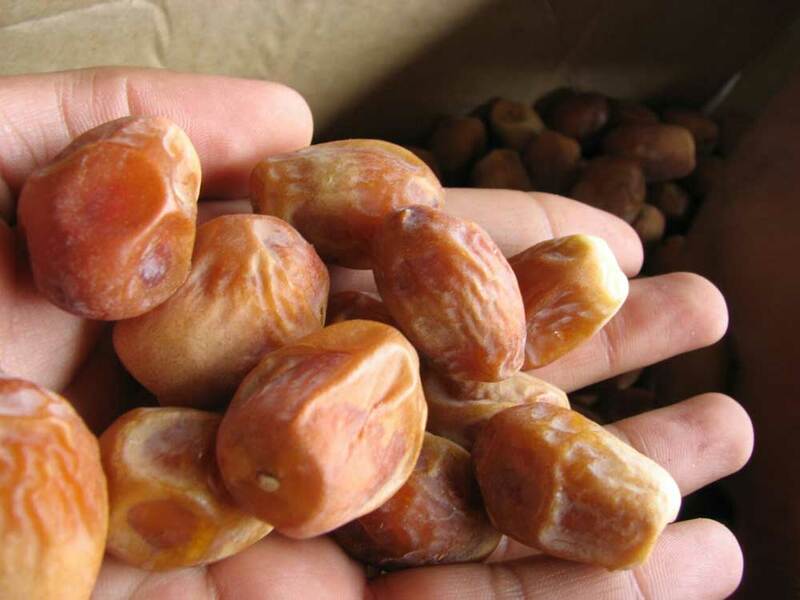 Zahedi Date Moisture is less than other kinds of Date fruits. Its moisture is under %14. Zahedi Date is yellow color to light brown. Zahedi Date Shape is short, oval, thick, elongated and at the end it is quite narrow and sharp, less sweet. Zahedi Date Size is short, round, Also its size is about 3.5 cm. Zahedi Date is not sweet and because of this is suited for those who don’t like sweet taste. The Harvest time is usually around Middle of September in different areas. But the Available in market is from October to March. Our company is always offering high quality products and most favorable service for our buyers, we take quality as important as service. Packaging and export of these Date Fruit which within the thirty years ago, the company have had impressive record in this field. 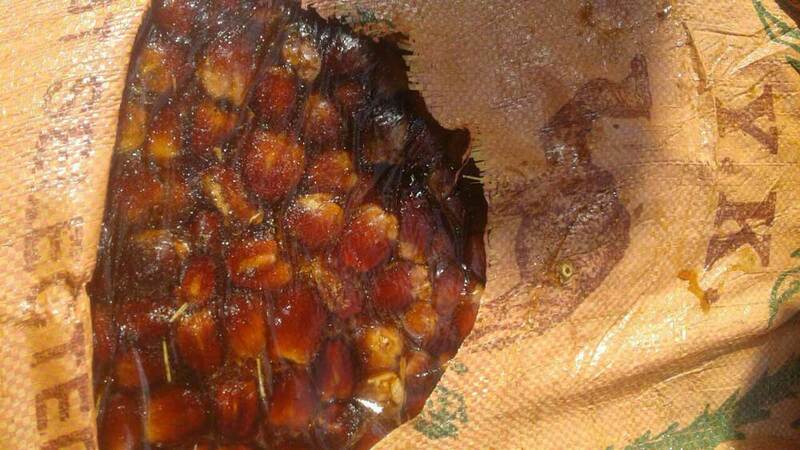 Zahedi Date is a dried Date fruit which can be kept in normal temperature of room. They have a shelf life of approximately 18(2 year) months at room temperature. But packaging processes of Iranian Zahedi Date fruit are accomplished by modern technologies and equipped machines, experienced experts and observing health tips which finally would be kept in equipped cold storage buildings during the 4 seasons of the year. 100 grams of dried date has about 300 calories and is composed of about 70% carbohydrates, 2.2% protein, and 0.6% fat while fresh dates contain about 160 calories. Zahedi Date is Benefit for us because it is rich in nutrients such as vitamins, minerals and etc. Treatment of diseases : this Date is full of energy and replete of essential vitamins and minerals such as vitamin B ,vitamin E ,Iron , phosphorous , calcium and magnesium that are very effective for treatment of diseases such as Anemia and Indigestion and improve memory and vision ability. Blood circulation: The Date has high Folate content which is beneficial and so necessary for blood circulation. Weight-gain: the Date fruit due to excessive sugar content which mostly includes simple sugars will cause to weight-gain. Latest provided research has shown Dates due to being classified in fruits group includes all benefits of vegetables and fruits; moreover, its trace amount of fat has resulted to be considered as a low-fat nutritious food! Date fruit seeds have been demonstrated to possess high antioxidant activities due to their high content of flavonoids and phenolic compounds. Date seeds oil is suitable for use in soap and cosmetics. Date palm seeds contain 0.56–5.4% lauric acid. They can also be processed chemically as a source of oxalic acid. Dates can be eaten plain or used for cooking in chopped form for cakes, sweet, pudding, bread, ice cream, cereal, candy. Surplus date is used in jam, jelly, juice, syrup, vinegar and alcohol. 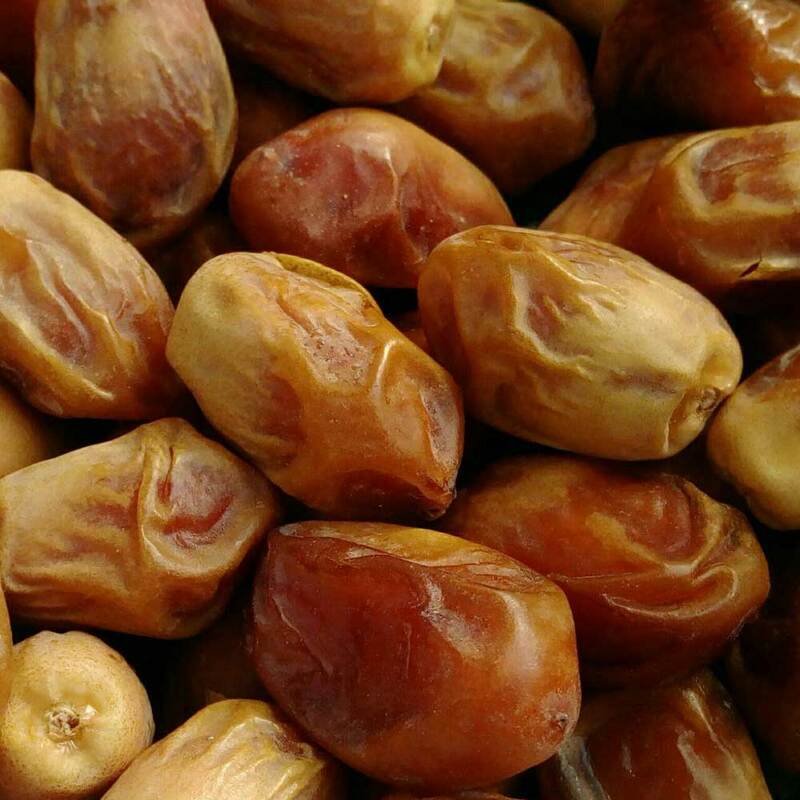 Dry or soft dates (Zahdi,Rabbi, Piarom,Mazafati, and etc.) are eaten out-of-hand, or may be seeded and stuffed, or chopped and used in a great variety of ways: on cereal, in pudding, bread, cakes, cookies, ice cream, or candy bars. The pitting may be done in factories either by crushing and sieving the fruits or, with more sophistication, by piercing the seed out, leaving the fruit whole. The calyces may be mechanically removed also. Surplus dates are made into cubes, paste, spread, powder (date sugar), jam, jelly, juice, syrup, vinegar or alcohol. Also other products such as palm sugar, chocolate, Fruit Bar, raw material of some soft drinks which comes, in addition to high durability, shipping is easy and requires no refrigeration. Zahedi is one major species of dried Date with huge annual yield. This Date can be considered as the most frequently used kind of Date fruit in Iran and can be grown in most tropical cities of Iran. The largest portion of this product is consumed in domestic markets, but due to production growth with high quality during the recent years steps have been taken for exporting this product. Our company exports their products to all over the world including UAE, Iraq, India, Russia, Ukraine, Pakistan, Europe and other countries. 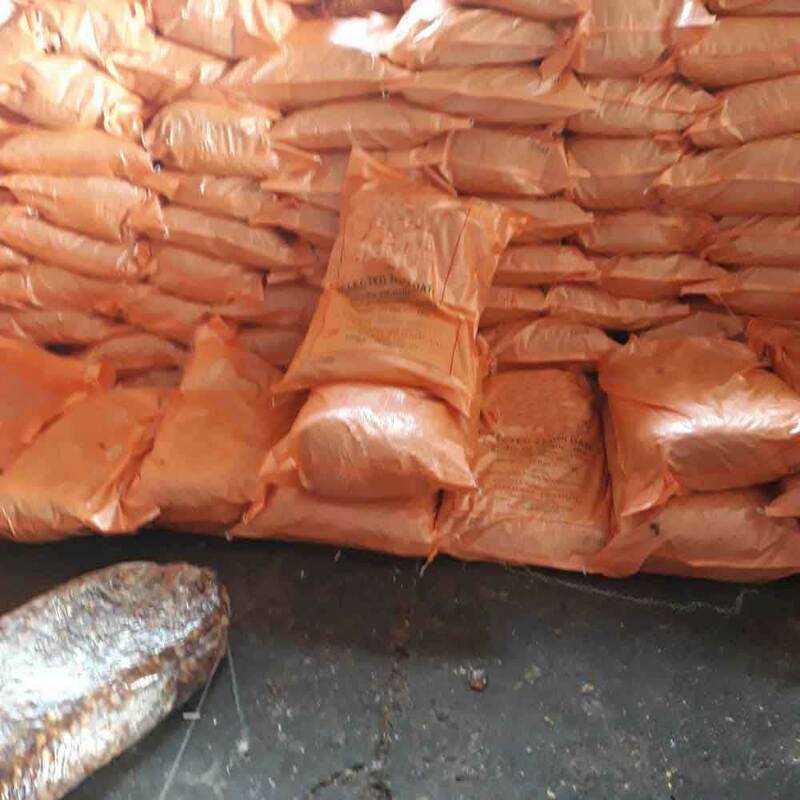 According to the quality is varying from 0.5 to 1.5 USD per each Kg. Ario Co is one of the most prominent and the largest supplier of the Date Fruit in Iran.Ario Co was established in 1985 in order to providing and supplying various fresh kinds of the date Fruit such as pitted, fresh and dried Dates in Iran and even abroad countries. The main activities of the ARIO Company are growing, packaging and export of these Date Fruit.